This band's rise has been so fast and meteoric that it's taken very little time for them to be playing the massive Wembley Arena. 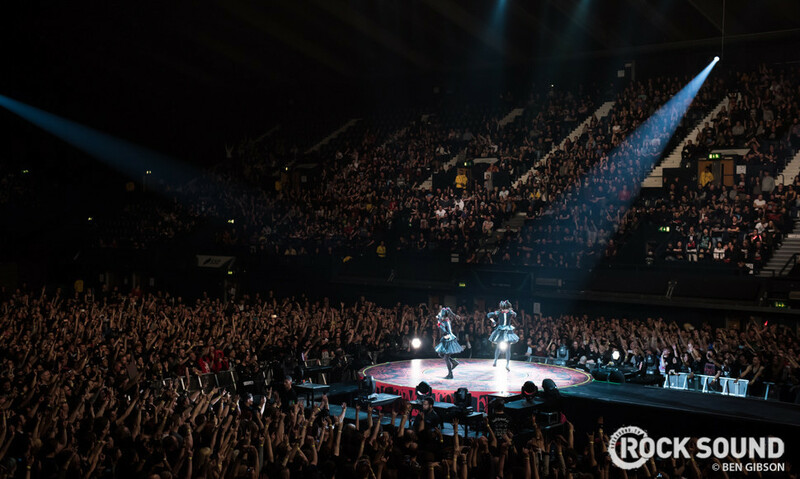 Even though their previous London shows were at the impressive Forum and Brixton Academy, this is the venue where they can really put on the show they want to. The stage is decked out like an ancient tomb, there's a massive runway and central stage for the girls, the show is split up with cinematic interludes and there's fire. A whole lot of fire. It's an impressive production. 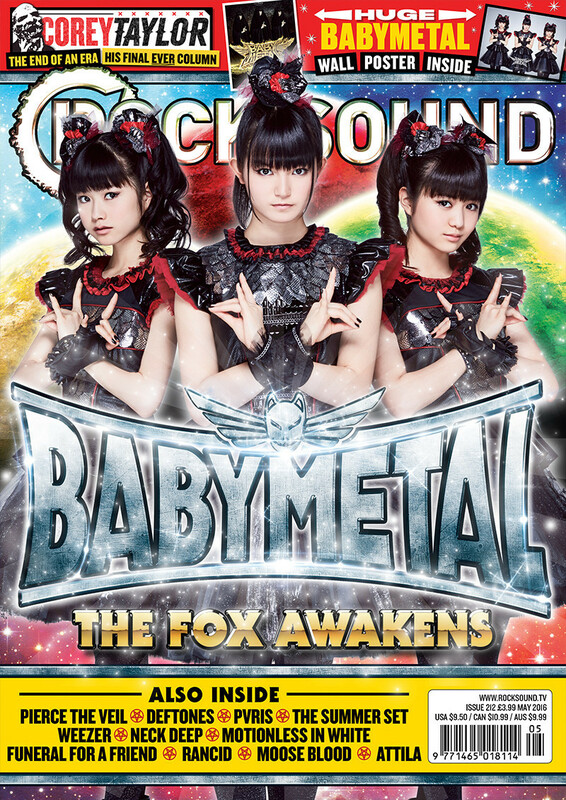 Anyone who debates the actual metal credibility of BABYMETAL have any doubts firmly silenced tonight. Their backing Kami band are an incredibly talented bunch, pulling off feats of technical wizardry with less effort that most of us exert on trying to find the TV remote. Furthermore, they actually sound crushingly heavy, that proves they're just as much of a metal band as the Slayers and Slipknots of this world. Wembley is absolutely packed tonight and the crowd are going absolutely bonkers. Before the band have even taken to the stage there's a sea of people piping their fists and chanting their name at deafening volume. When they do arrive the reaction is pandemonium. 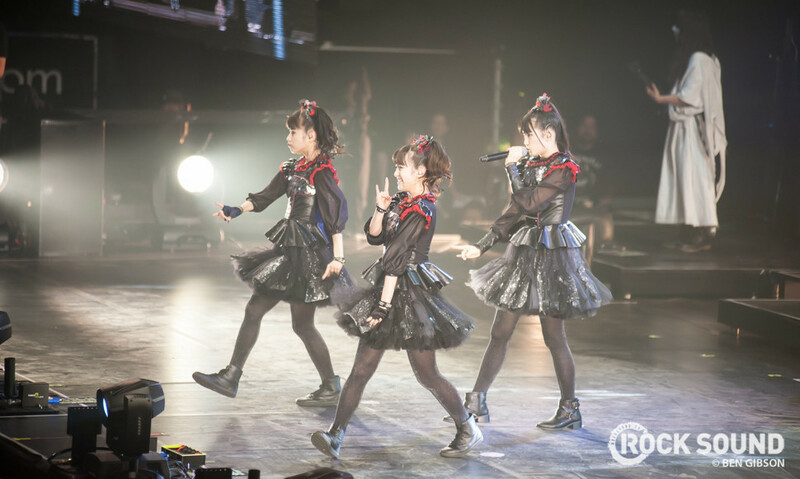 There are kids throwing up the fox sign and singing along, while fully grown adults kick off massive mosh pits and mimic the girls' dance moves. As if the manic response in Wembley itself isn't enough, the finale of this show proves just how many people this band have captivated. Following the massive cheers that greet breakthrough hit 'Gimme Chocolate!!' 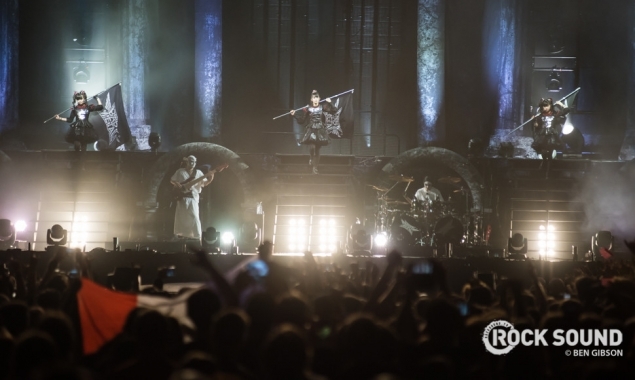 and Su-metal belting out an impressive vocal performance with 'The One', BABYMETAL close their set with 'Road Of Resistance' while the massive screens project scenes of colossal crowds in Japan watching the performance being live streamed. It's undeniably impressive, and proves The Metal Resistance is fully underway. OUT IN THE UK NOW!